Shavua tov! Looking forward to Shabbat Pesach! Shavua tov – a good week to you! This is the week which culminates in Pesach. There will be no Shabbat / Festival morning services at CBI this coming Saturday morning, but we hope you’ve already RSVP’d to join us at our Second Night Community Seder on Saturday night. The Velveteen Rabbi’s Haggadah for Pesach – free, downloadable, print and bind it yourself! Interweaves traditional text with contemporary poetry and meditations on liberation. Prayer for Dew. On Pesach morning we recite a special prayer for dew; and from now on until the end of the fall holiday season, our daily amidah prayer features a request for God to bring the dew, rather than a request for rains and snow. May this week leading up to Pesach be meaningful and sweet for all of us! Shavua tov – a good week to you! Join us this coming Shabbat morning for services led by Chris Kelly. And here’s the URJ’s compilation of commentaries on this week’s Torah portion: M’Tzora at the URJ. Some of you have been joining me in a mitzvah experiment this month — trying to remember to bless the food that we eat every day. We are doing this as part of a nationwide project called The Flourishing Project. The Flourishing Project’s goal is to explore a simple question: How do mitzvot function, if at all, to help us live more flourishing lives? The lunar month is drawing to its close — Adar II will end this Friday. These are the last few days of our month of assessing the impact of blessing regularly before eating. Once Adar II is over, the Flourishing Project will circulate a survey asking you to reflect on your experiences. If you’re interested in participating in this havdalah experiment, before Nissan begins, we ask that you complete this very short survey (1-2 minutes) about Havdalah. We encourage you to invite members of your community to participate. Please pass along the survey to anyone who is interested in partaking. Don’t miss the ALEPH Kallah! I’m writing to share this Flyer for the 2016 ALEPH Kallah [pdf]! The ALEPH Kallah is Jewish Renewal’s biennial gathering. If your summer plans permit travel to Colorado, I hope you’ll consider joining us. The list of courses and workshops is amazing, and it’s going to be an incredible week — and a great opportunity to experience Jewish Renewal learning, community, and prayer. I can guarantee that a week at Kallah will enliven your Judaism and awaken your spirit! Early-bird registration (5% discount) is in effect until April 14. And if we can gather a minyan of CBI participants, we’ll get a special discount, so if you’re planning to go, let me know. Take a peek at the flyer, click on the ALEPH Kallah link, and let me know if you might be able to come. Shavua tov – a good week to you! 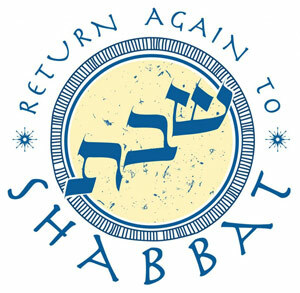 Join us this coming Shabbat morning for services led by Rabbi Jarah Greenfield. And here’s the URJ’s compilation of commentaries on this week’s Torah portion:Tzav at the URJ. And then the text goes on to share the details of ancient sacrificial practices designed for that purpose. What struck me this year was that final clause, the one that speaks about us seeing the Presence of the Divine. We may imagine that seeing God’s Presence was something which was only available to our ancestors in Biblical times. Torah tells us that as they wandered in the wilderness they saw a pillar of cloud by day and a pillar of fire by night, but we don’t get that kind of assurance. We don’t get that kind of connection. Except that we do. Or we can. That’s what the mitzvot are for. The mitzvot are like tuning forks. The musicians among us know that when you strike a tuning fork it resonates at a particular frequency. The mitzvot help us attune ourselves to the presence of God, to the presence of something beyond ourselves. The purpose of lighting Shabbat candles isn’t just to kindle a couple of pretty lights on a Friday night — it’s to arouse our ability to be conscious of God’s light in the world. The purpose of making havdalah isn’t just to give us a nice bookend for the end of Shabbat — it’s to tune our inner instrument so that as we enter into the new week we resonate at God’s frequency. The purpose of blessing our food before we eat isn’t just to remind us to be grateful — it’s to awaken our awareness of the sparks of divinity even in the thiings we consume. The purpose of feeding the hungry isn’t just to relieve their suffering — it’s to recognize that God’s Presence is present in those who hunger. The purpose of studying Torah isn’t just to learn about our tradition — it’s to tune our inner radios to the divine broadcast which is still ongoing. God’s Presence is all around us. Every moment can be infused with awareness of divinity. That’s the lesson of hashpa’ah, spiritual direction, which asks: where is God in what is unfolding in your life right now? Spiritual direction is a tool for becoming attuned to God’s presence. * Prayer is a tool for becoming attuned to God’s presence, and it’s one which is available to us here every week in community — and is available to each of us on our own every day. And every mitzvah is a tool for becoming attuned to God’s presence, a tuning fork which rings out a sweet, clear note. When our hearts resonate with that note, when our hearts are attuned to God, then we can find the Divine Presence in everything we do. This is the d’var Torah I offered at my shul during our contemplative Shabbat morning service yesterday. *and it’s one which I’m blessed to be able to offer to our community because of the three years I spent in ALEPH’s hashpa’ah program.